Need a break from the doom and gloom of 2017? 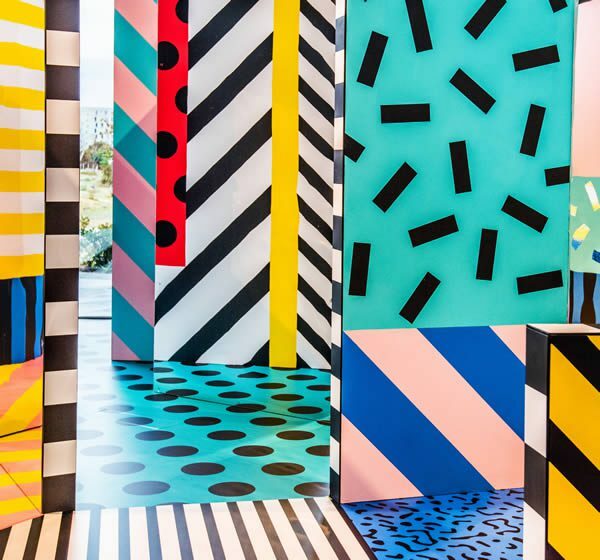 Designer and artist Camille Walala has the answer. 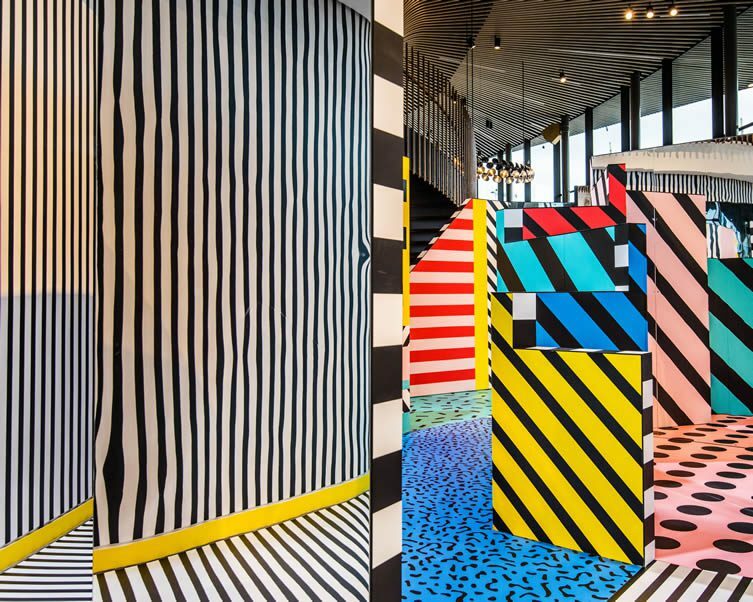 Equally as disorientating as poring over the papers but without the harrowing aftertaste, Camille’s new exhibition at NOW Gallery in Greenwich is a mind-melding labyrinth of pattern and colour, which forces you to leave your cares, shoes, and spatial awareness at the door. 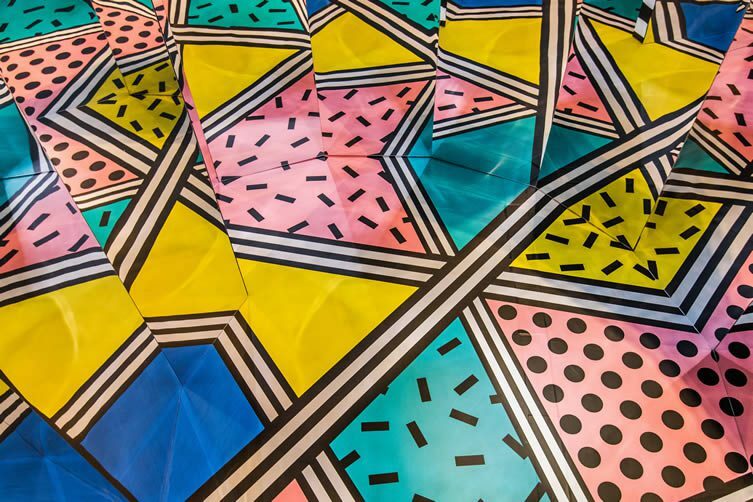 Inspired by the bold designs of South Africa’s Ndebele tribespeople and the outrageous pattern of ’80s designer Ettore Sottsass and his gang of follow Memphis provocateurs, Camille’s bold and beautiful work is already pretty heady. 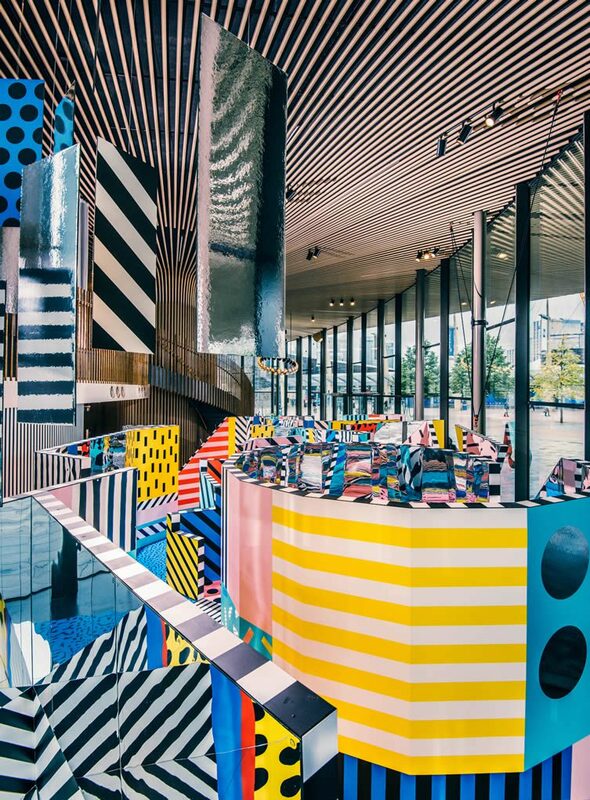 If you live in London you’ll have no doubt spotted her colour riots in the form of murals, shop interiors and even house boats, not to mention campaigns for Barbican, XOYO and Land of Kings. 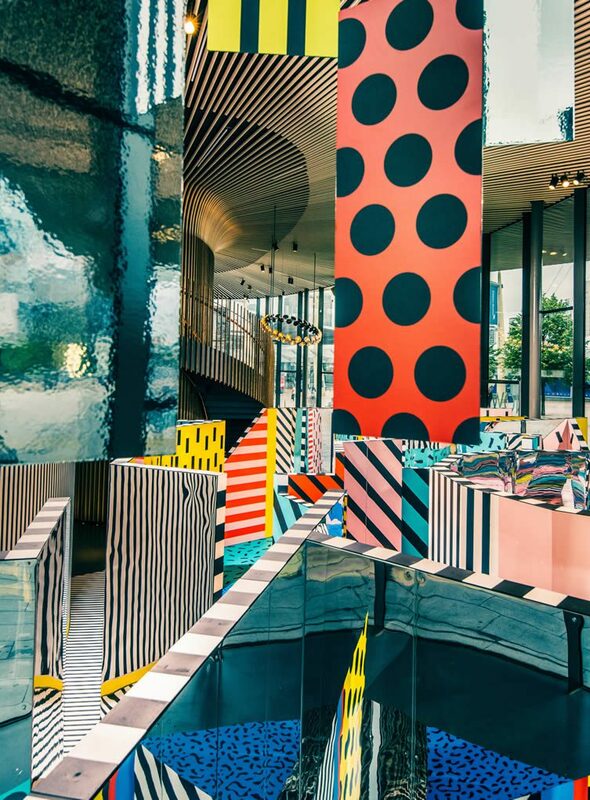 But add in spiral mazes, suspended mirrors, zigzag corridors and attention-grabbing spots and stripes in every direction and you’re in for quite the trip. 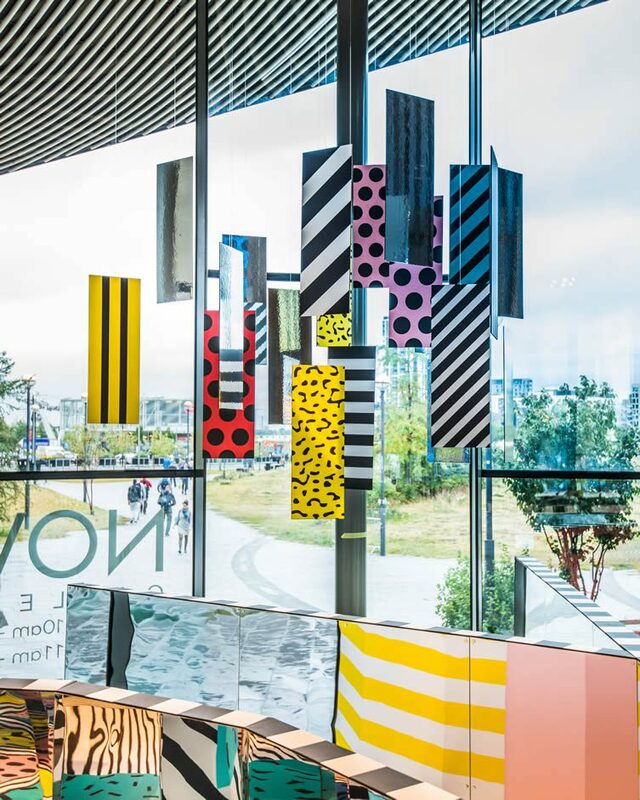 Just next door to the 02 on Greenwich Peninsula, NOW Gallery is the cultural tip of what Building Magazine has called “one of the biggest regeneration projects London has ever seen,” a project that will see more than 15,00 homes built in the area over the next two decades. 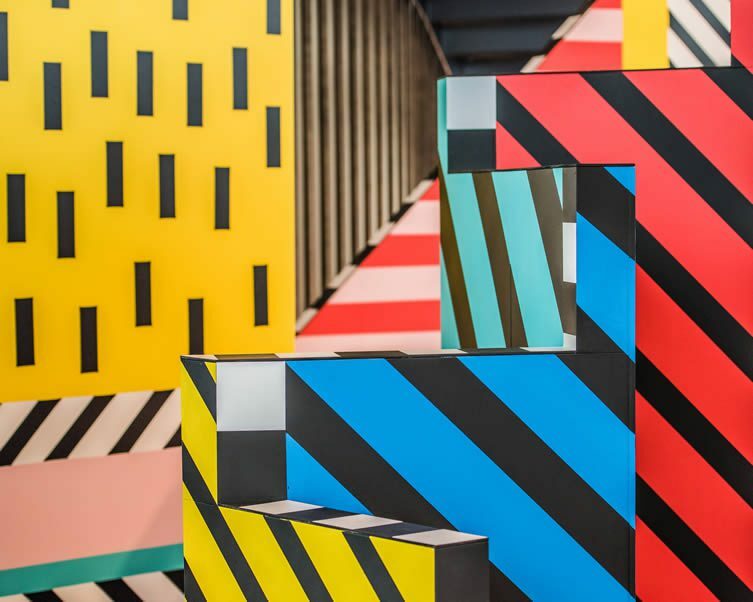 Curator Jemima Burrill has done a sterling job of inviting some of the capital’s most outlandish creatives into the space, from frill-loving fashion designer Molly Goddard and maverick sculptor Alex Chinneck to experimental architectural practice Something & Son, who even handmade hundreds of bricks during their residency with the help of eager visitors. Despite the context, sterile and unimaginative it is not. 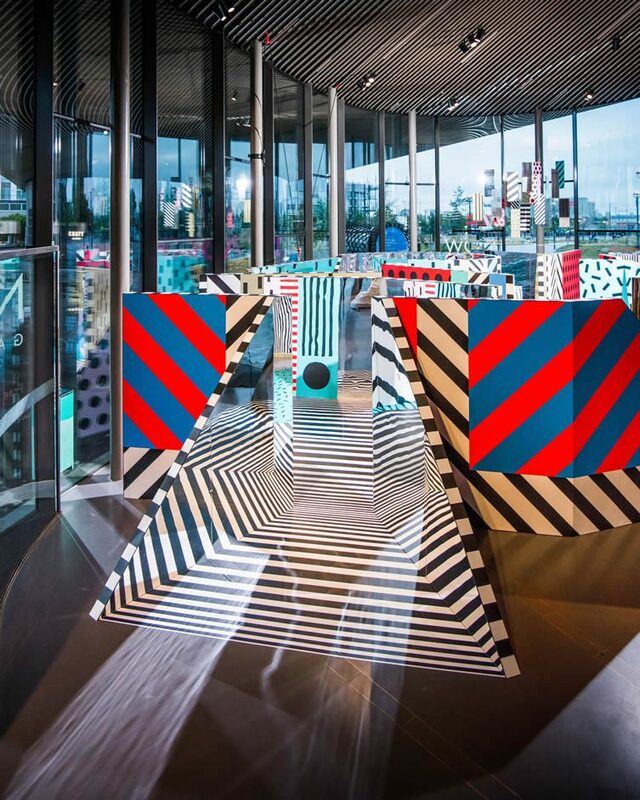 Conceived and built with a top squad comprising art director Julia Jomaa, architectural designer Ioana Lapascu, fabricator Simon Sawyer, and vinyl expert Dave Gibbons, WALALA X PLAY is one of Camille’s most ambitious forays into 3D to date. 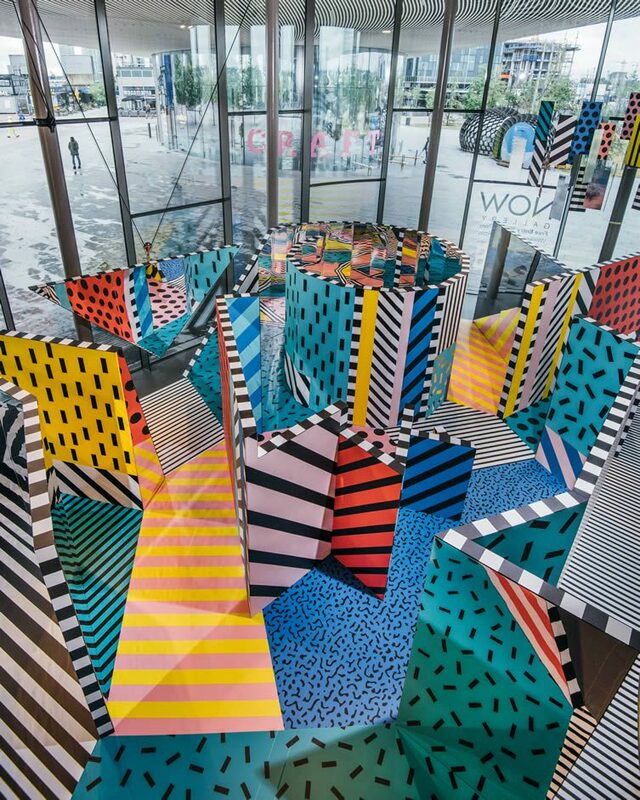 Visitors can even play a room-size game of spot the difference as Camille has hidden five pattern anomalies lurking in the perception-defying house of mirrors for visitors to puzzle over. 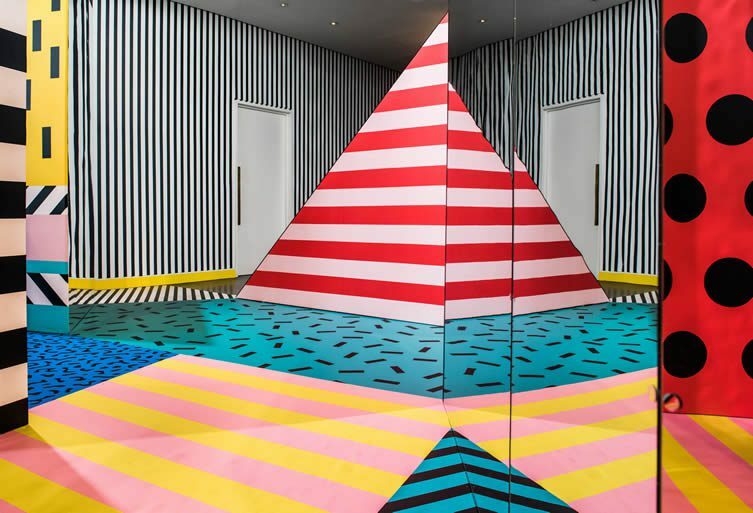 Just don’t ponder (or ‘gram) too hard, the walls are not where they seem. 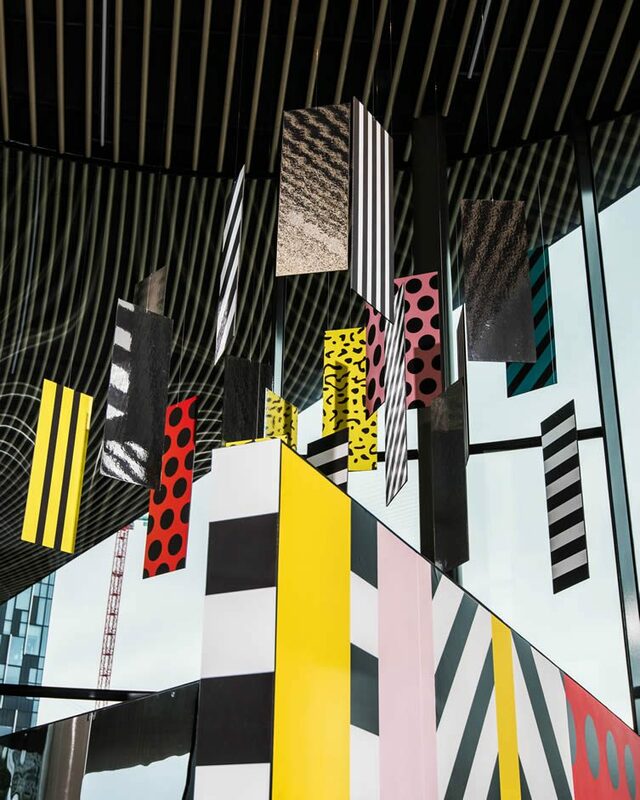 WALALA X PLAY runs at NOW Gallery, Greenwich Peninsula until 24 September.